Today Saul Alinsky would turn 109 years old. A sociologist in the United States, he is considered the founder of community organizing. On the occasion of his anniversary we want to reflect on the relevance of his work and thinking applied to the ecosocial transitions badly needed today. Saul Alinsky was born on 30 January 1909 in Chicago, he was the son of Jewish orthodox immigrants from Russia. In the 1920s he studied sociology at the University of Chicago. At that time one of the singularities of the sociology of the “Chicago school” was to immerse oneself into the live of the groups studied. After finishing his studies he participated in the Chicago Area Project. This new applied sociology took as one of its main challenges to confront the social disorganisation in order to improve the social life of the neighbourhood. Nevertheless, Saul Alinsky soon abandoned the Chicago Area Project to begin his work as an organizer. He began in the neighbourhood Back of the Yards, the neighbourhood in which Upton Sinclair placed his novel The Jungle, a note which is not trivial, as the novel exposed the working and living conditions of the inhabitants of this neighbourhood, and the public response was widespread outrage which gave rise to major labour law reforms in the USA. Back of the Yards was a neighbourhood with multiple social problems. Controlled by the big meat companies, it was next to the large slaughterhouses of Chicago. The working and living conditions of its inhabitants were precarious and unhealthy. The neighbourhood was a melting pot of people from all over the world, of immigrants who in their great majority worked in the slaughterhouses. This environment of precariousness and exploitation generated over many years the necessary breeding ground and created ethnic, religious, and political conflicts among the immigration populations. Alinsky constituted the Back of the Yards Neighbourhood Council with 127 associations and organisations as a tool for political pressure and as a basic infrastructure to achieve being seen as a reference in the neighbourhood itself. This new organisation joined forces with the unions of the meat industry to develop an important strike, and its neighbourhood character attracted the support of the Catholic Church. This new ally weakened the position of the meat industry and finally the ceded to the demands of the unions and the Neighbourhood Council. This was the first important victory of Community Organizing. Saul Alinsky introduced into the social struggles the idea of power, and this converted him into one of the great precursors of the methods of social empowerment. His methodology inspired many trainings of community organizers in the United States. He himself trained many organizers in the IAF (Industrial Areas Foundation), where he taught how a conflict can be turned into a source of empowerment. In La Transicionera we are working on “fusioning” the concepts of Transition Neighbourhoods or Towns with the Community Organizing of Saul Alinsky. 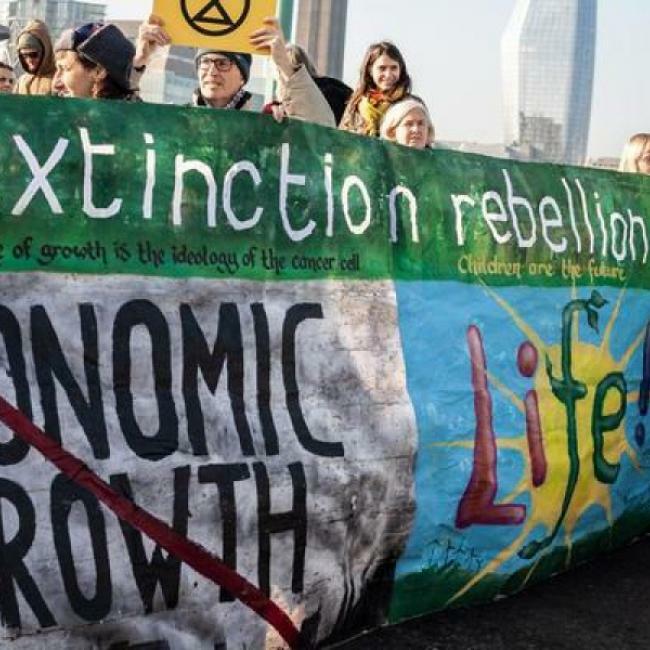 We are convinced that a transition that does not respond to the needs of those already marginalised and socially excluded by the capitalist system will never reach the necessary social and political relevance which we need to define other ways of living. The encounter of Community Organizing with The Transition means their will need to be changed to both concepts. When I’m situating myself within Community Organizing I see the need to stress less the “concrete achievable demands” and talk more about putting into practice concrete solutions to the problems ourselves, either legally, at the margin of legality or – if necessary – outside the law. However, it is also necessary to turn to concrete demands when our rights are being violated. Be it as it may, at the present I think it is more urgent to do than to demand. I think the Transition Movement needs to open itself to a much broader process, with results which might not at first view respond to what initially we understand as energy transition, but which will include solutions for the immediate needs of the people of the neighbourhoods. It is extremely important to add to the analysis of the Transition Movement the concept of power and the consequences of an imbalance of power. The imbalance expresses itself through exclusion, marginalisation and social stigmatisation. To fight against these it is required that the Transition Movement takes on practices of empowerment, recovers the resilient capacities of the neighbourhoods and develops tools to confront conflicts, both, social and political conflicts. I have confidence in ourselves that we can learn on the way. I am convinced that if we achieve an empowered neighbourhood, confidence and trust will increase, and we will be able to put into practice much more radical solutions that require more profound change on the individual, collective and structural level of our societies. We are at the beginning of this process. We are on the way. We are aware that the transition to a post-collapse society is inevitable. However, it depends on us whether this Transition will come with a social and just transition. So that this will be the case, we let ourselves be inspired by Saul Alinsky.